Birthday Parties and Seasonal Camp. Time for Some More Fun Stuff ! Looking for a great birthday party for your kids? We have you covered. One of the most popular kids activities at our studio, the 'super kick' karate birthday party is a complete blast from start to finish. 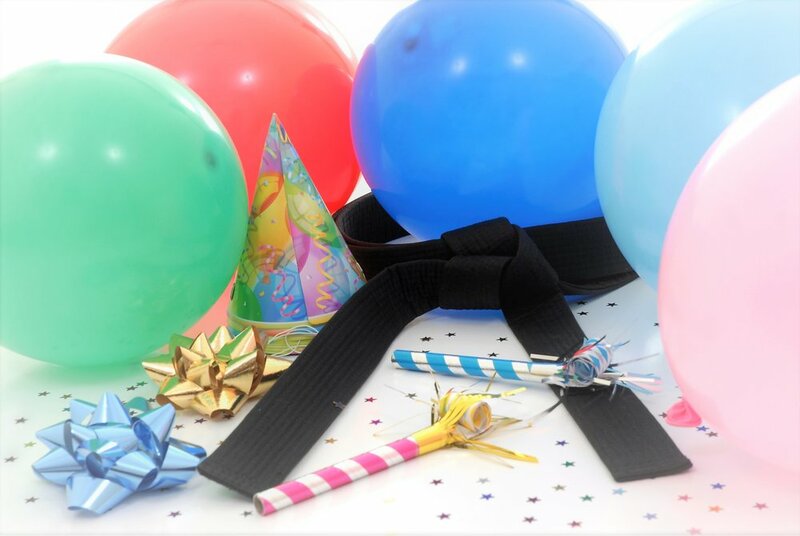 Birthday kids get to show off their cool karate moves, hang out with friends, and be the life of the party! Our parties include karate, games, a stuffed piñata - and of course - crowd control. Want something fun for your kids to do over summer? school is out for winter or spring break and the kids are a little ... restless? Our camp sessions offer active & awesome opportunities for students and non-students alike to experience martial arts based games, challenges, obstacle courses, and of course, karate Too! Different themes for different weeks. Recommended ages: 5 thru 10. One of our instructors will be contacting you shortly reqarding your request.